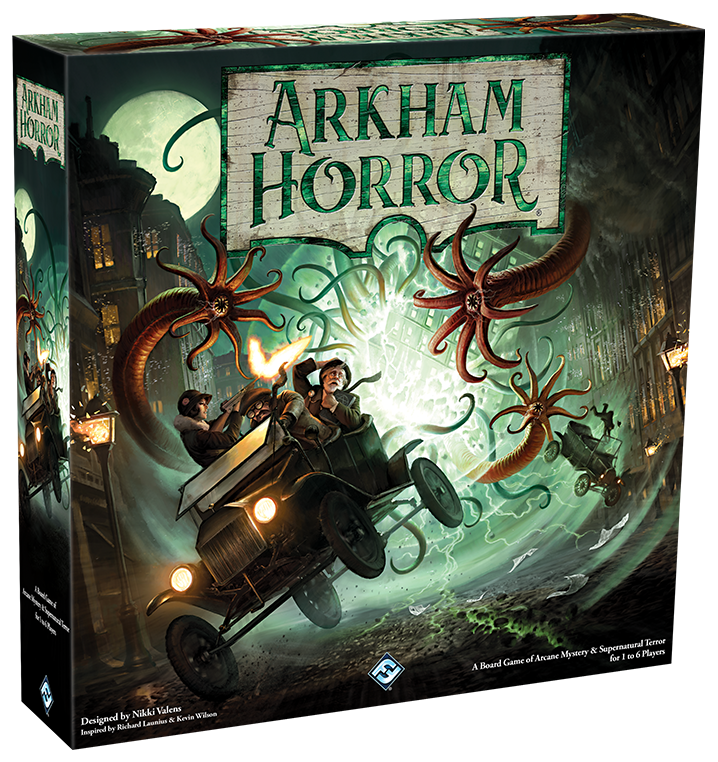 Take on the role of an investigator dedicated to defeating this darkness in Arkham Horror Third Edition. Through careful deduction, quick thinking, and a little bit of luck, you may just stand a chance of defeating this unknowable evil. Our last defense against ancient evil. Explore the town of Arkham to discover the secrets of the Ancient Ones! Those who are unlucky enough to have glimpsed beyond reality know they cannot sit idly by. You can choose one of twelve investigators to explore the mysteries of the mythos! Each of these investigators is prepared in their own way to stand fast against the evils arrayed against them. Some will dive into ancient tomes and discover new clues, others will let their firearms do the talking. 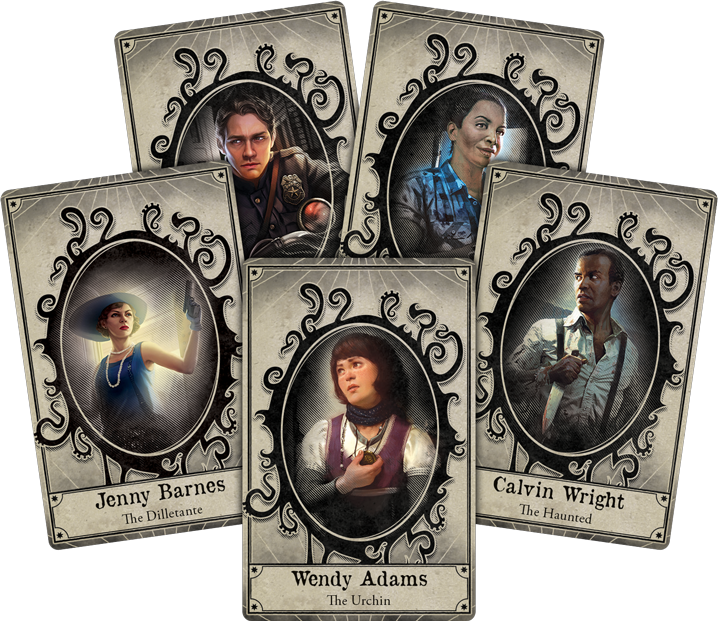 Fans of Arkham Horror: The Card Game and Mansions of Madness will quickly recognize these heroes as you join them on their next adventures in the city of Arkham! Together, these flawed, brave few are our last defense, but do they (and you) have what it takes to succeed? Every investigator starts the game with their own starting items and abilities, giving each a unique identity and role in your team. Some will excel in protecting other members of your team, others are experts at gaining clues. 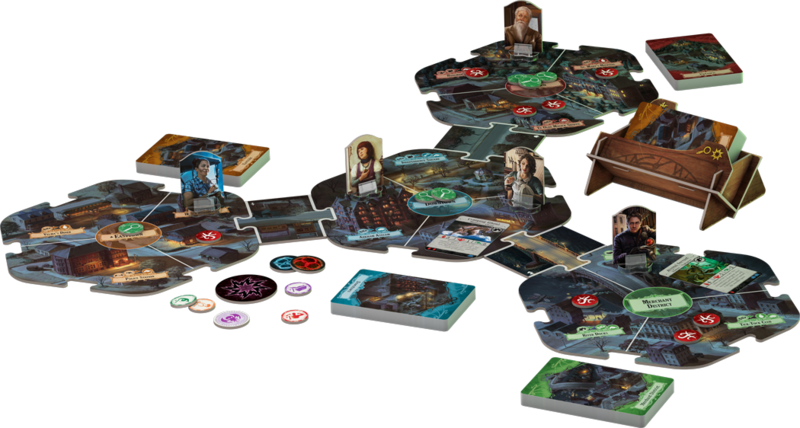 But despite their differences, every investigator must work together to repel the encroaching darkness closing in around Arkham. Time is of the essence. Every turn, your investigator will perform two actions to bring you closer to victory. You can move about the city gathering clues, allies, and tools to fight against the darkness—but the town of Arkham contains more than just clues. Your darkest nightmares stalk the streets, waiting to unleash horror on unknowing prey. Right around the corner could be salvation or your own terrifying end. Are you brave enough to confront the darkness and come out the other side alive? Collect clues, defeat monsters, and find a way to defeat this madness. When you start a game, players won't know the end goal of the scenario; it's not as simple as just closing some gates! Instead, archive cards are placed in a codex above the board. These cards provide a greater narrative context for your actions while also providing short-term objectives for investigators to complete. Finishing these objectives will add more cards to the codex and provide more goals—keep completing these and the forces of darkness will eventually be defeated. However, other cards may be added to the codex. 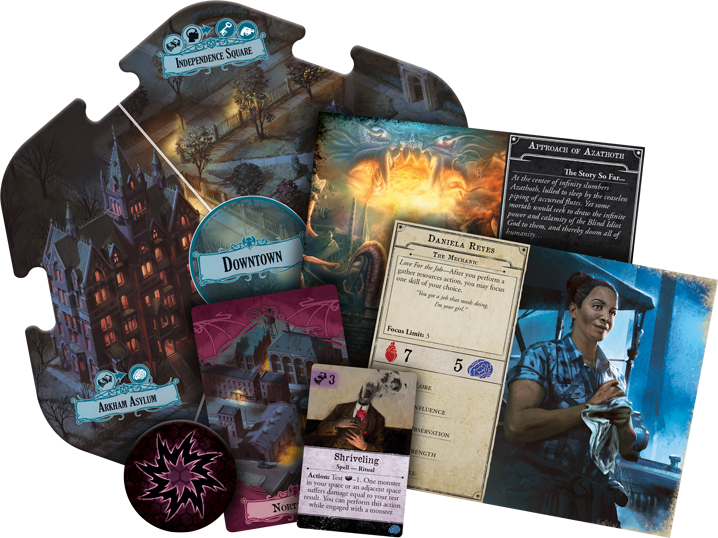 As the forces of evil spread doom across the city, negative archive cards can be added to the codex, impeding your investigators and, if they are not careful, utterly defeating them. Defeat unknowable horrors waiting beyond reality!